75% of employees reuse passwords across different accounts, a 19% increase from 2014. 47% use the same passwords across work and personal accounts. 23% change their work passwords no more than twice a year. 15% would consider selling their workplace passwords to a third party. The survey also revealed tension between IT teams and other employees: 55% said the IT department was a source of inconvenience, 13% would not immediately inform IT if they suspected they’d been hacked, and 49% would blame IT if they suffered a cyber attack. Bad password habits and friction between employees and IT teams won’t help improve . 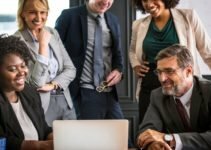 It is imperative that employees understand that everyone has a part to play and has a responsibility in terms of information and cyber security within the workplace – they cannot be left solely to IT teams to manage. Often, not enough emphasis is put on employees’ responsibilities; they need to be aware of the consequences of careless behaviour. For larger organisations with several offices, keeping track of information security training and best practices could prove difficult. 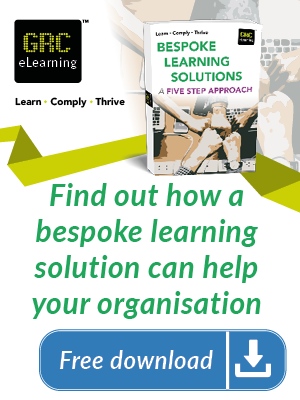 A flexible, effective method of delivering training to multiple employees with minimal disruption is an e-learning course. Our Information Security and Cyber Security Staff Awareness E-learning Course focuses on common staff-related cyber security incidents and information security weaknesses that criminals often exploit, and provides the opportunity to apply the knowledge gained, using practical activities throughout. 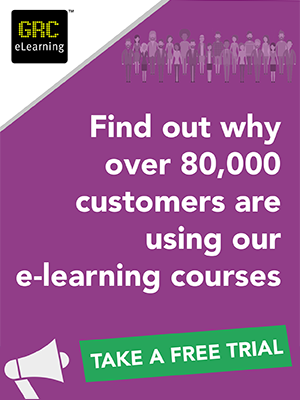 To see if this course is right for you, watch the video below or request a free trial.